Besides your wedding day, when is the next time you will have an excuse to get this dressed up? 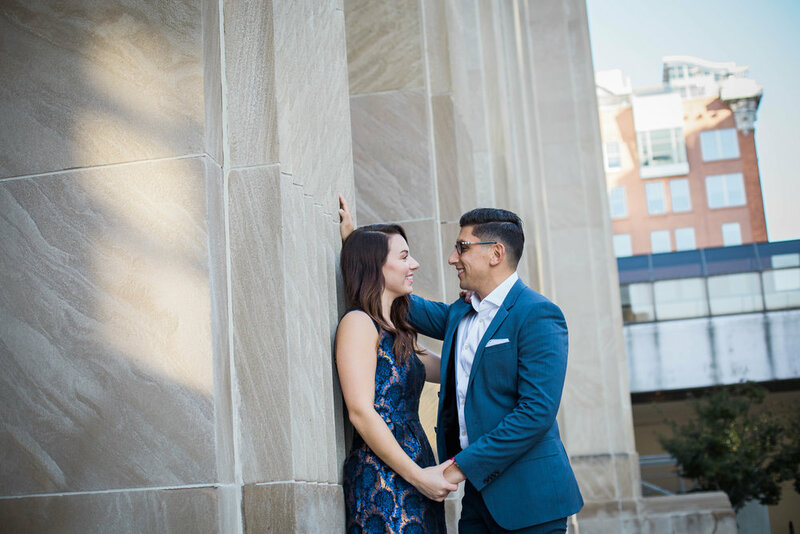 During your engagement photo session you want to go above and beyond your every day wear. Be flashy and have fun with it! Don’t forget to wear layers with pops of color. More than what you are wearing - talk to your photographer about bringing unique props to show your wedding theme or something you two love doing together. Your hair, makeup and nails should not be neglected. Make them wedding day ready and have them done professionally. You will want to look and feel your best and a little pampering can be just the ticket you need! Don’t forget about the groom. Make sure he has a fresh hair cut at least two weeks prior to your session date. All dressed up and no where to go? 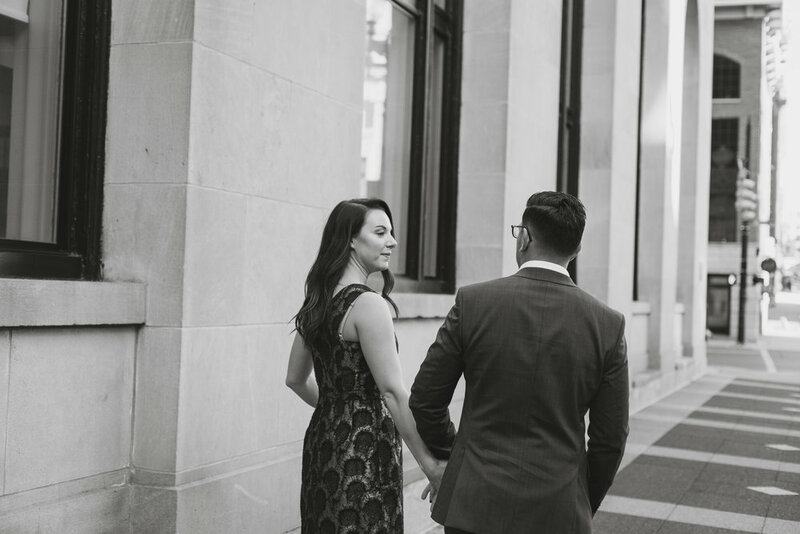 After your engagement photo session plan a date with your significant other. Skip the wedding talk and only focus on each other to make this date truly fulfilling. At the end of the day, you will have photo evidence of you two looking so fly and have all the memories of a fun day together.